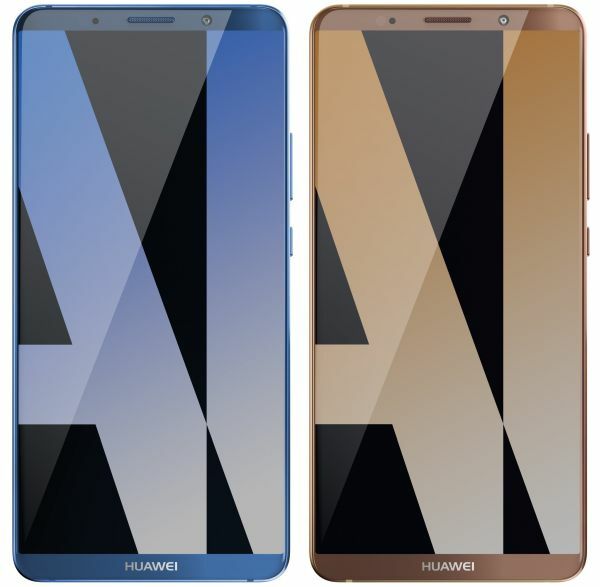 It will take a month until Huawei will present the Huawei Mate 10 and the Mate 10 Pro in Munich on October 16, but the discussions about the new top models are already in progress. At the moment, the web is all about the design of the new Mate models. In the middle of the week, a video was put into the web, in which the Mate 10 is to be seen. The short clip, however, consists only of several CAD drawings (CAD: computer-aided design), which were made on the basis of the current reports on the Mate 10. Thus, the approximate look of the upcoming smartphone should have been captured, but some details might be different. We can see a smartphone with a dual camera on the back, but not surrounded by the glass inlay we know from the Huawei Mate 9. In addition, the fingerprint sensor is located on the front, which seems odd. Because at the start of the Huawei P10, Huawei explained that the front sensor would only be used on models with a display diagonal up to about 5.5 inches. All larger devices, such as the Huawei Mate 10 with its 5.9 inch screen, should be equipped with a fingerprint sensor on the back. The display of the rendering images to be seen in the video is surrounded by a comparatively wide border, considering that current top smartphones on the market are nearly borderless. Even the trend ratio of 18: 9 seems not to have been respected in the illustrated model. Would Huawei not equal on the Mate 10, or the video just misplayed a wrong picture? 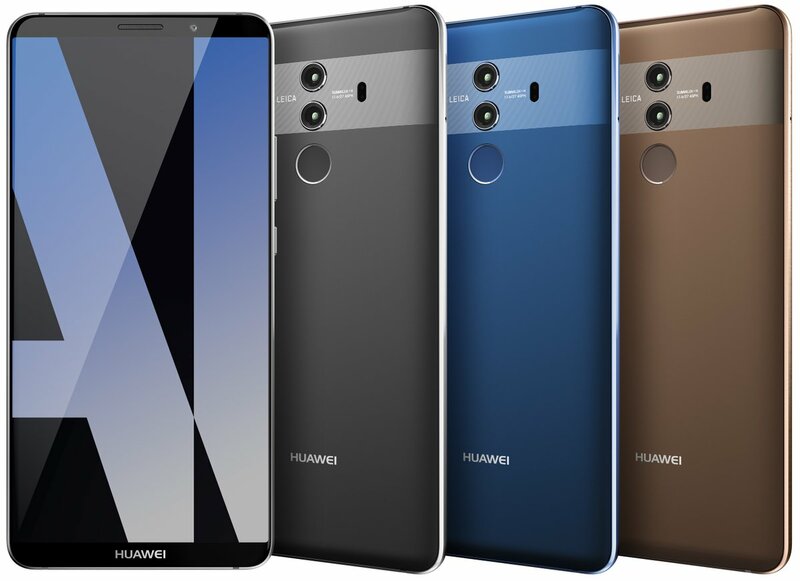 The fact that the Mate 10 does not seem to follow the trend could also be due to Huawei’s introduction of the Mate 10 Pro on October 16. This should correspond more to the current developments in the display. Because on previously unconfirmed live pictures, a smartphone with a nearly borderless screen and without fingerprint sensor on the front looks like Mate 10 pro. The space thus saved was invested in the display, which seems to have the well-known high-gloss format of 18: 9 or 17: 9. The display diagonal is to be slightly larger with 6.3 inches than with the Mate 10, the resolution is probably 1080 x 2160 pixels. Whether one of the two new Huawei smartphones will have a curved display like the Huawei Mate 9 Pro, remains to be seen. It is already clear that Huawei’s latest processor generation Kirin 970 will be used in the models. It is the first chip system of the manufacturer with a computing unit for neural networks and thus artificial intelligence. The Kirin 970 is manufactured in a very compact 10 nanometer process and, like the predecessor Kirin 960, has four Cortex A73 cores with a clock rate of up to 2.4 GHz and four A53 cores with up to 1.8 GHz. The graphics performance has been improved and an LTE Cat.18 modem is also included.